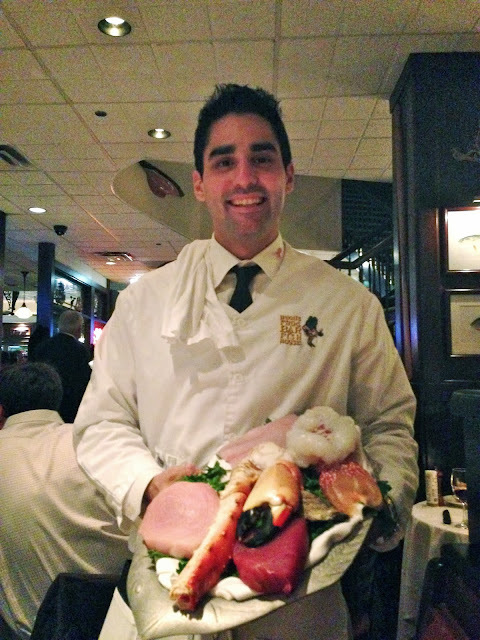 Last Friday, my husband and I dropped into Hugo's for a free stone crab with a purchase of an entree at this historic Chicago establishment in the heart of Chicago's Gold Coast. In a city filled with great seafood and steak houses, I grew up going to Hugo's Frog Bar & Fish House, and I always love it there. 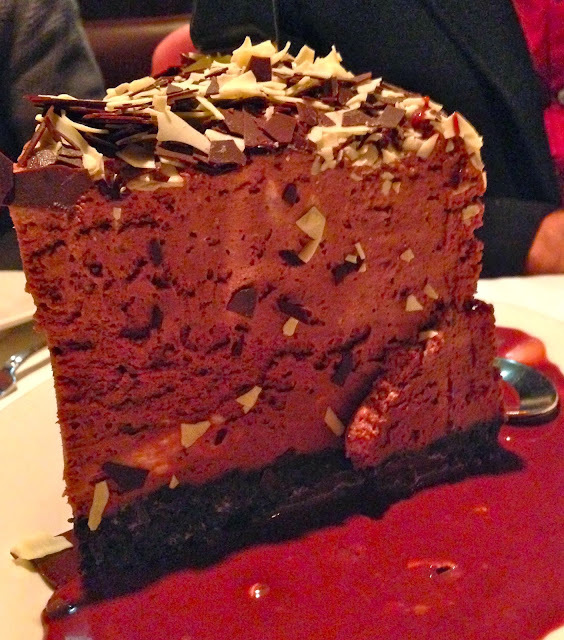 In all honesty, the entire evening spent at Hugo's was spectacular, from the food, to the service and atmosphere. Not to mention, the best people watching in the city! We couldn't have had a better time. We were lucky enough to be seated with Martin, who was young, fun, and extremely knowledgeable. Oh yeah, and really nice to look too! He let us settle in and set us up with a great California red wine. We noshed on the most spectacular bread and butter, my husband ate a full loaf of the raisin bread I think, as we waited for one of their famous jumbo lump crab cakes to arrive as appetizer. The crab cake is as good as I've ever had, lightly fried and crispy on both ends with huge succulent chunks of crab somehow bound together with amazingness. I could have eaten ten of them despite them being really big. They remind me of my Mother as we used to always drop in for a crab cake while we were shopping on Oak St. when I was growing up. As a bonus, Martin brought us each out some fresh in-season stone crab claws. These of course are divine and don't need much explanation. If somehow you have never had them, you need to get over there and get some right now while they are in season and thank me later. The mustard sauce and the stone crab are made for one another. As we enjoyed some more wine, we had some soup to warm us up on a cold Chicago Fall night. 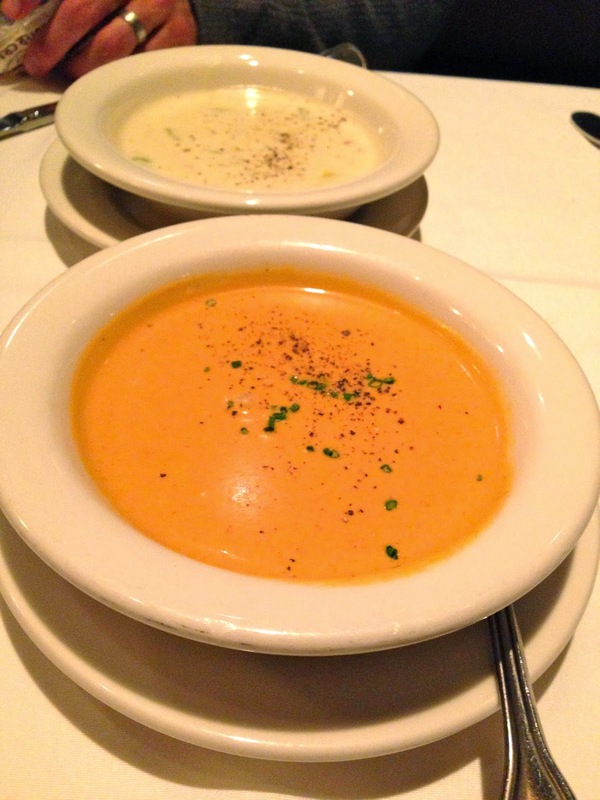 I ordered the lobster bisque and my husband, Steve, was craving the New England clam chowder. As for our entrees, Steve ordered up a prime NY strip steak. He couldn't resist not ordering one of their amazing cuts of meat, coming out of the same shared kitchen as their sister restaurant Gibson's, located next door. His only tough decision was deciding between the NY (13 or 19oz) or his other favorite, the Chicago Cut bone-in ribeye. 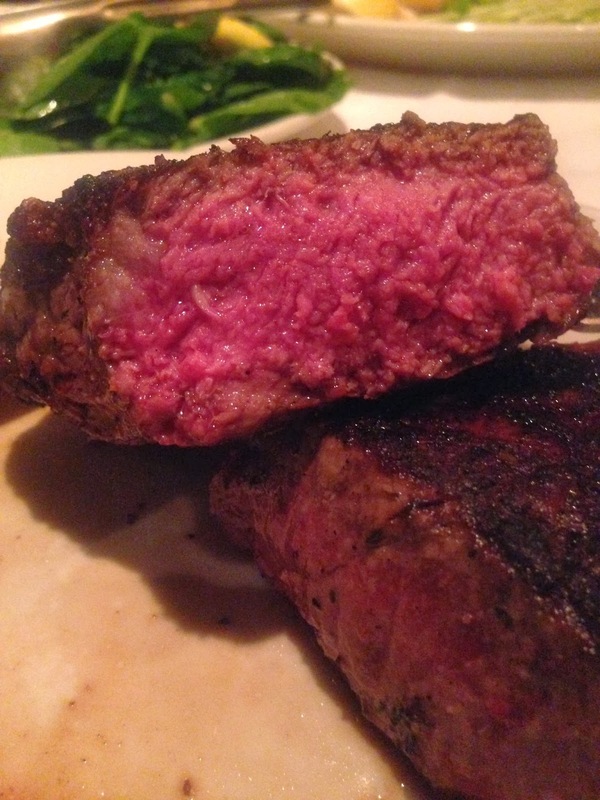 He ordered the NY medium rare, slightly charred and it came out to perfection. Incredible flavor, juicy, as good as any steak you can find in the city, and a perfect pairing to the wine. Per Martin, I went for more seafood and ordered the miso glazed Chilean Sea Bass with pea shots and sweet soy butter which was fantastic as well. I always order the steak and cake and decided to try a fish dish. There really were a ton of amazing fish choices that I want to go back and try, not to mention the trophy looking Alaskan King Crab legs you can order. A great little secret is if you are dying to have a crab leg, but don't want it has the whole meal, you can order just one amazing thick succulent looking crab leg up on the side. For sides, we did a double backed potato and some sautéed spinach garlic as those are my favorite sides. Both were great and what you expect from this type of establishment. We finished with one of the largest pieces of chocolate mousse cake you have ever seen. There was no way just Steve and I could have finished it, as we didn't even finish it with my friends, Brenda (owner of Green Dog, Inc.) and Peter, that joined out table towards the end of our meal since they were in the area dining as well. We loved the atmosphere so much we decided to order a bottle of wine and catch up instead of heading to bar near by that's how awesome the scene is! As mentioned above, in addition to the great food, the service was awesome. The general manager, Sil, came by a few times to check up on us and exchange some small talk, their bus staff was on point, and Martin was great. The evening was fun, the atmosphere was fun, and I look forward to going back. Check them out, get them back in your rotation, and let me know what you think. I LOVE crab cakes-- looks amazing! YUM! This looks like a pretty awesome meal! It was a meal suited for a queen and king! This looks delicious! I haven't been to Hugo's in aaaaages... I'll have to add it to my list.